Commissioning has begun at the largest installation of gas turbine packages produced by British-based Centrax on a single site anywhere in the world. Twelve of the packages, each comprising a single 5.2 MW Rolls-Royce 501-KB7 gas turbine, are being readied for service at the Ust Teguss field, at the heart of what Centrax describes as the "highly competitive and environmentally challenging" Siberian oil and gas industry. 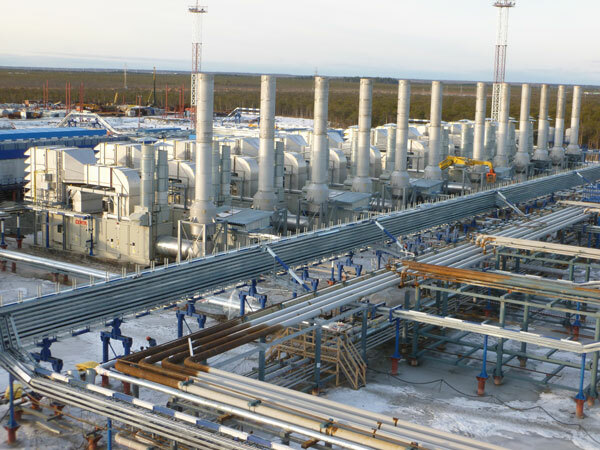 Here in the Tyumen region of the West Siberian plain, some 1600 km east of Moscow, the Centrax units' total generating capacity of 62.4 MW will meet the facility's growing energy demands. The units will run on gas recovered from oil drilling operations, which would normally be flared. When commissioning work is complete the total number of Centrax generating sets operated by facility owner Rosneft will reach 29. One reason for this success is the proven reliability of the KB7 in harsh environments worldwide, says Nick Royal, regional sales manager of Centrax. “The Tyumen region has an average temperature over the whole year of only around 1.3°C with continuous sub-freezing conditions for much of the winter. Where conditions are as tough as this, the reliability and maintainability of the 501-KB7 gas turbine become key drivers behind our accelerating success in Russia. “Also the engine's relative simplicity, with single-shaft construction, makes it eminently suitable for service throughout the Russian Federation and the CIS, a region for which we have developed a standardised design of package for cold-temperature environments, incorporating features such as additional space-heaters and temperature-regulated control panel shelters."